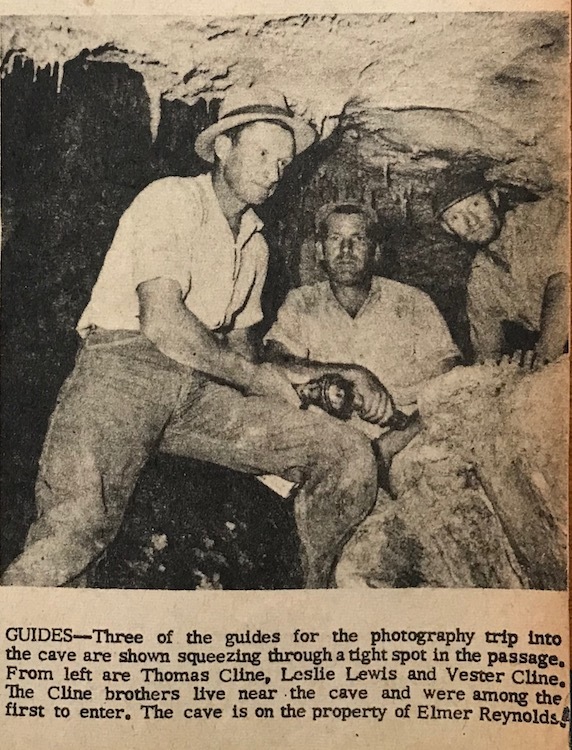 CRYSTAL ONYX Cave was discovered in 1960 by Cleon Turner, his memoir has been summarized here. 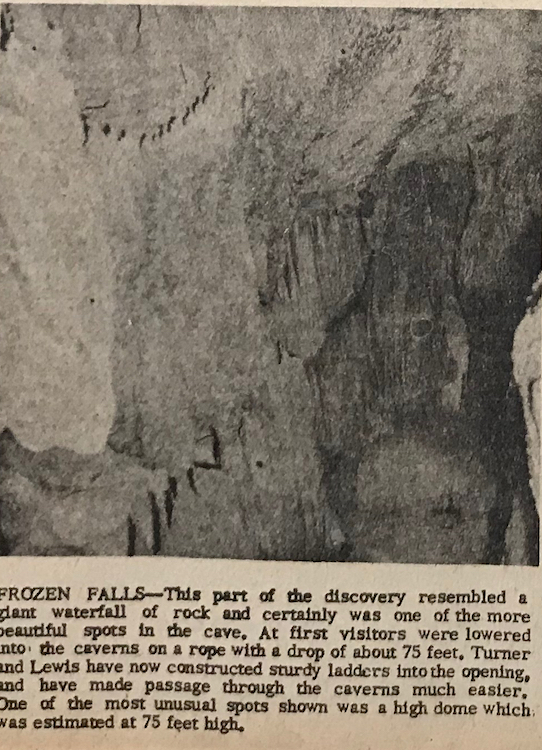 It opened for tours in 1965 and was featured in the Glasgow Daily Times. 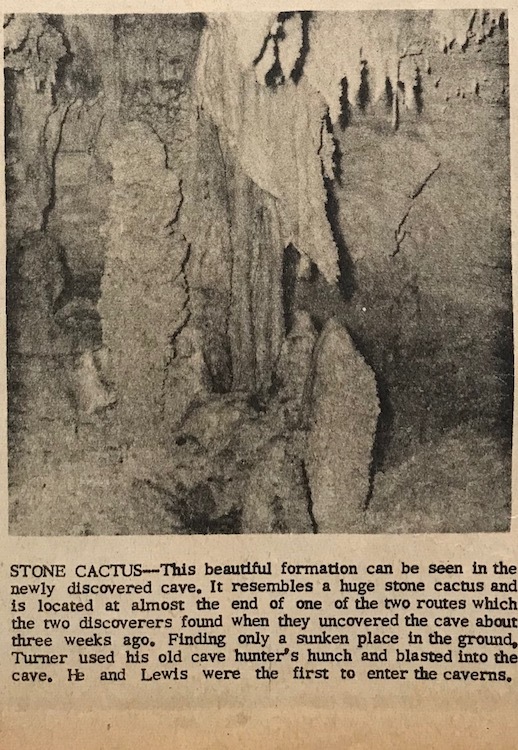 In 1970 they wrote another article on Cleon and the cave. Several people have been trapped in Prewitts Knob caves and been rescued. Human bones were discovered at the bottom of the cave by Cleon Turner in 1960. 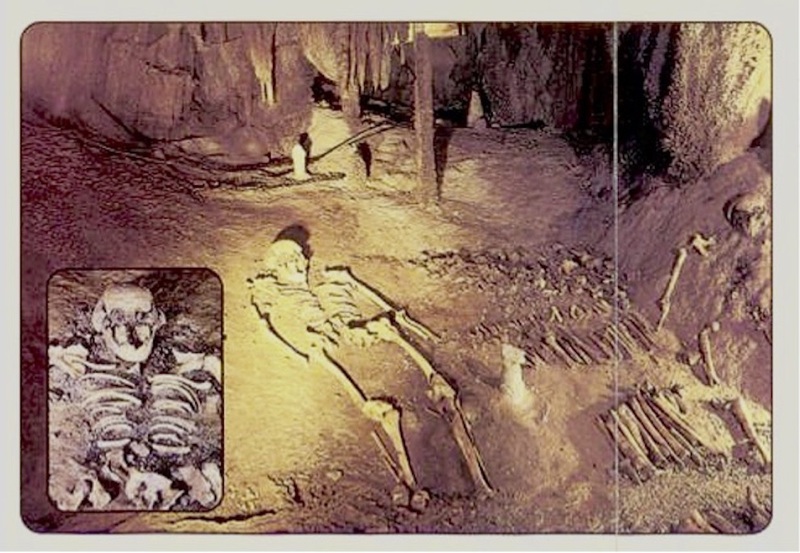 In 1988 Valerie A. Haskins wrote her Masters thesis on the remains found in the cave and other locations on the knob. They were determined to be 2,600 years old. They were on display in the cave for many years. They have since been reburied in the cave. This area was occupied by native Americans for millennia. 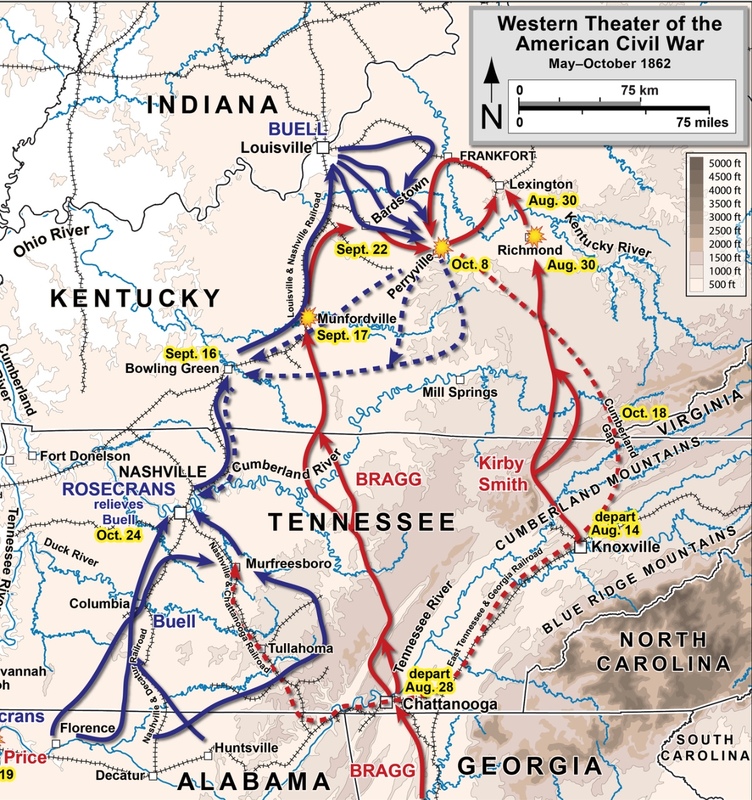 It was explored by Daniel Boone and others after the Revolutionary War, and land was granted to Revolutioary War pensioners. The Nashville Trace ran on the north side of the Knob. 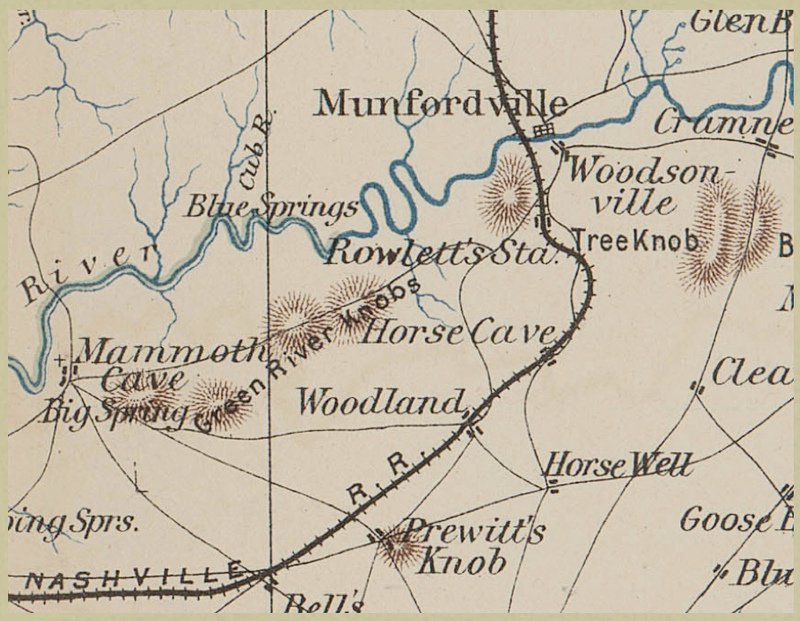 In 1862 the Union army encamped at the Knob before the battle of Munfordville. 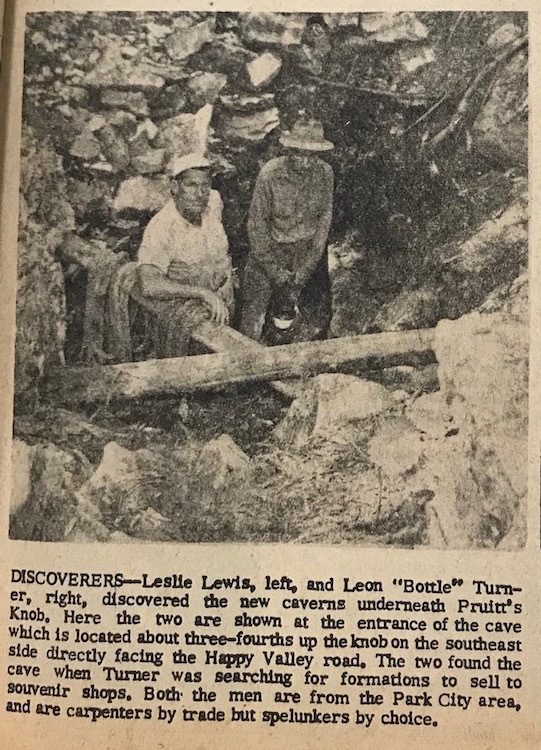 Leon “Bottle” Turner, for over 30 years a spelunker around Caveland, U.S.A., has found a new, beautiful cavern just a short distance from heavily-traveled U,S, 31-W near Cave City. 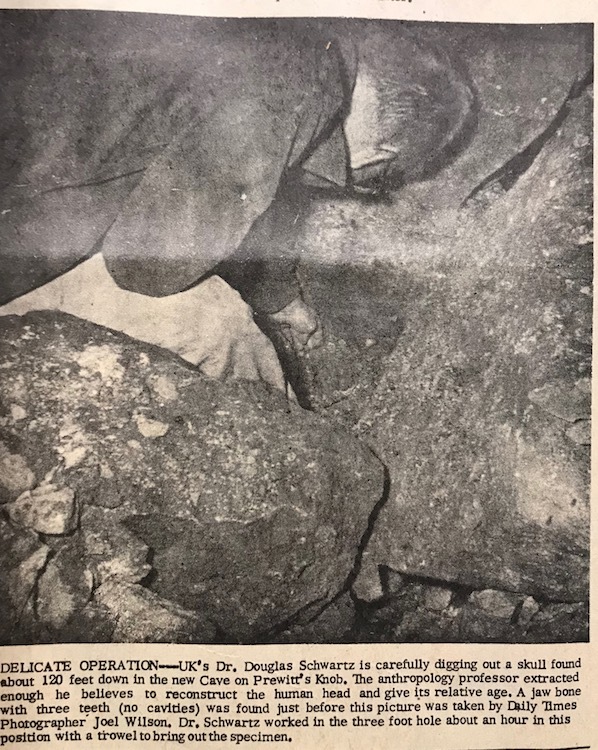 “I dig for “sites” and “mites” around here and was up on Pruitt’s Knob looking for some pretty rocks and decided to try a big sinkhole for some,” he explained. “We dug down for a while (four or five feet) and knew we had found a big hole. We dynamited a big rock hiding our view to the cavern and there she was,” he said. She, as he calls this wonder, is seen by descending 80 feet down eight ladders tied together with rope. After starting down “Bottle” says to not “freeze” on the ladder or that there’ll be troubles. He claims some of the uninitiated petrify on ladders going down from a high point and they almost have to be knocked senseless to regain muscular control. Well, we didn’t freeze but oftentimes would have felt better by being either at the top or bottom, preferably the top. All of this was exciting, to say the least. But the best was yet to come because these writers, not even rating as amateur spelunkers before the start, came away convinced that this cave should be seen by millions as others in this area have been. The cave has three parts, known now, after only four trips to its beautiful setting. To reach the absolute bottom and the most beautiful sight, you go completely down the 80-foot ladder and look up. This huge cavern is a cistern-like hole about 100 feet in diameter and about 120 feet deep. To reach the lower level of the cave and see yet more beautiful scenery we had to descend as far as the ladders went. After a bit more wandering we were shown a fantastically high dome which was at least 100 feet high. Although a standard flashlight threw no more than a dim flicker on the ceiling of the dome, a beautiful crystal-like ceiling was visible. Reaching another room through a tiny crevice, a huge waterfall-like formation was seen which matched many of the other wonders in the cave. Although the room was not accessible since it had no visible floor, by leaning over a huge rock even more mites and tites could be seen. To see the horizontal portion of the cave, you change from the descent ladder at about 60 feet, stepping about a yard off to another ladder that goes up about 20 feet and you are on the level. Here’s where spelunking begins to be more interesting and less frightening. The passageways are high enough to permit walking erect most of the time, but you must keep track of hanging stalactites, lest you knock one off or yourself out. The shortest route is about a fourth of a mile long, Many obstacles to overcome – small passageways, knee-deep crystal clear water – during the trip made an accurate time – distance estimate difficult. 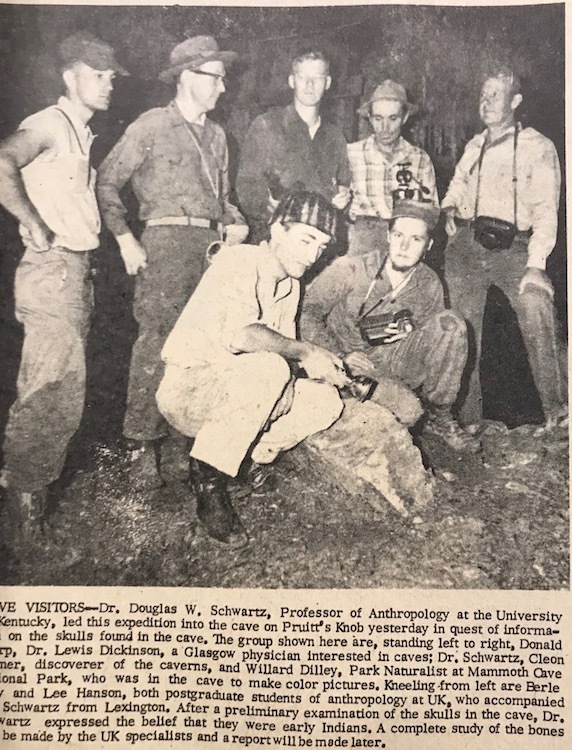 Five of us, Leslie Lewis, who found the cave with Turner, and Houston Rigdon, along to see the sight, too, were in the dark depths for about three hours. The descent lasted 30 or 40 minutes and the ascent a little longer. Going down and up the ladders you have a strong rope around your chest, in case a step should be missed or the ropes holding the ladders together should break. The rope is controlled by looping over a log at the top. The formations are intricate workings of nature. Everywhere you see ‘mites’ and ‘tites’ and cases where they have come together forming columns. Some have hairlike surfaces, others like the cones on pine trees. Water drips from many of the formations and in these centers where the water comes through they look like diamonds placed in the end when a light is thrown on them. At one place the roots of a tree are petrified. The longest route, estimated between a fourth and a half mile, is the easiest to travelers and has the most abundant color and beauty. “Turner is continuing exploration of his discovery and reports he has found an open that apparently leads into another large cavern area. He has not had time yet to enlarge the opening to go through into the new area but plans to do so soon. Meantime, since our first trip down, he has greatly improved the ladder installation and made access much less difficult.